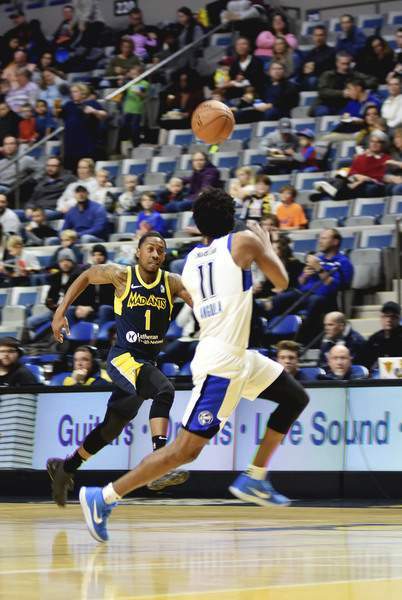 Katie Fyfe | The Journal Gazette The Mad Ants' Je'Lon Hornbeak and the Magic's Braian Angola chase after the ball during the second quarter at the Coliseum on Saturday. Katie Fyfe | The Journal Gazette The Mad Ants' Travin Thibodeaux shoots the ball during the first quarter against the Magic at the Coliseum on Saturday. Rachel Von | The Journal Gazette The Mad Ants' Edmond Sumner shoots the ball as the Magic's Jeremiah Hill tries to block his shot during the second quarter at the Coliseum on Saturday. Katie Fyfe | The Journal Gazette The Mad Ants' Edmond Sumner shoots the ball while Magic's Braian Angola tries to block his shot during the first quarter at the Coliseum on Saturday. Rachel Von | The Journal Gazette The Mad Ants’ Edmond Sumner tries to get around Melvin Frazier Jr. to get to the basket during the second quarter at the Coliseum on Saturday. Katie Fyfe | The Journal Gazette The Mad Ants' Stephan Hicks shoots the ball as the Magic's John Petrucelli tries to block his shot during the second quarter at the Coliseum on Saturday. Rachel Von | The Journal Gazette The Mad Ants' Jared Sam tries to shoot the ball as the Magic's Troy Caupain tries to block his shot during the second quarter at the Coliseum on Saturday. 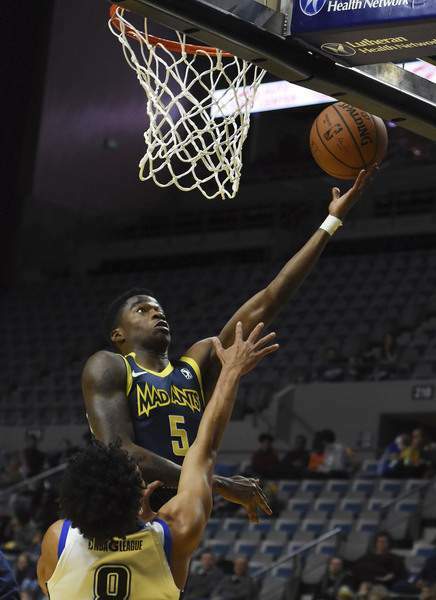 The Mad Ants went from winning 5 of 6 games to losing on back-to-back nights, including a 107-92 loss to the Lakeland Magic today in front of an announced crowd of 2,448 fans at Memorial Coliseum. “The difference was we didn’t take the opportunity of playing 48 minutes from a whole collective group,” Mad Ants coach Steve Gansey said. “That was the difference. We didn’t take the opportunity and they did. Troy Caupain had 24 points to lead the Magic (16-10) on Superhero Night. Lakeland has won six of its last seven games. The Fort Wayne (14-13) lead over Windy City in the division is down to a half-game. 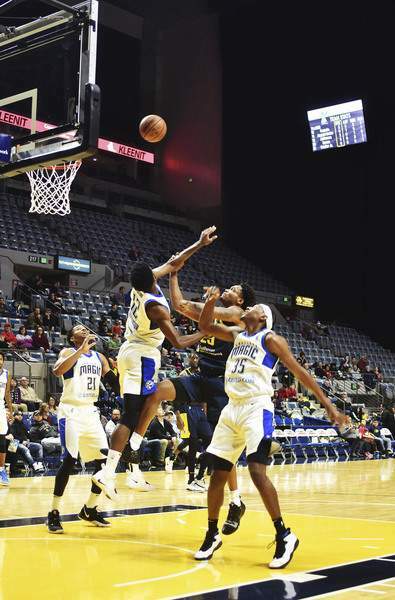 The Mad Ants are off until Wednesday’s game against the Erie BayHawks in Erie, Pennsylvania. Edmond Sumner led Fort Wayne with 29 points. It was his fourth straight game with 29 or more points. Fort Wayne’s Omari Johnson made 3-of-7 shots from 3-point range to get to 502 for his career and become the fourth player in G League history to eclipse 500 successful shots from 3-point range. He had 17 points, as did teammate Stephan Hicks. Blake Ahearn is in third place in league history with 523 from beyond the arc. 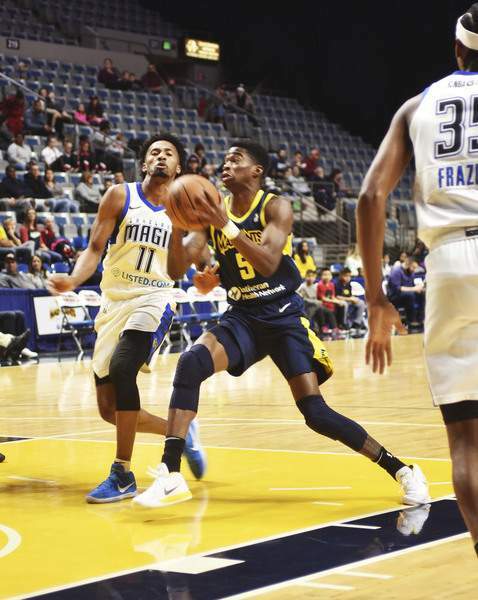 The Mad Ants were missing some of their top players, including Alize Johnson and Davon Reed, both with the NBA’s Indiana Pacers. 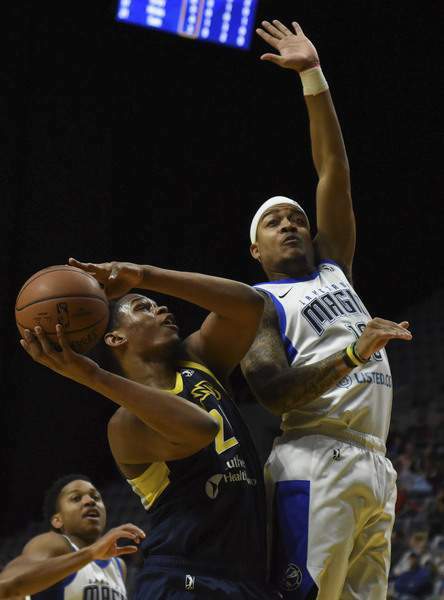 Ike Anigbogu, who has been suffering knee soreness, sat out for the second time in three games and was limited to only 7 minutes of play in Friday’s 123-105 loss at Grand Rapids, Michigan. Sumner, who had 33 points Friday, kept up his torrid pace in the first quarter by making 4 of 6 shots for 12 points in the first quarter as Fort Wayne stayed only three points back of Lakeland at 26-23. 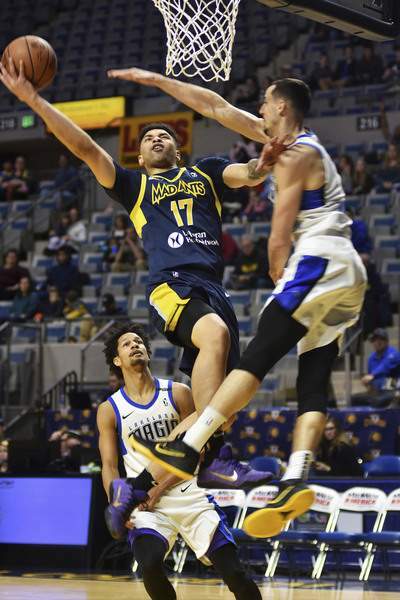 Sumner’s point total was up to 20 by halftime, but the Mad Ants’ deficit grew to eight points at 47-39, and that deficit was up to 14 points in the third quarter. A steal and layup by Hicks cut Lakeland’s lead to 95-92 with 2:34 remaining in the fourth quarter, but it was short-lived. This was the first of three meetings this season between the teams. 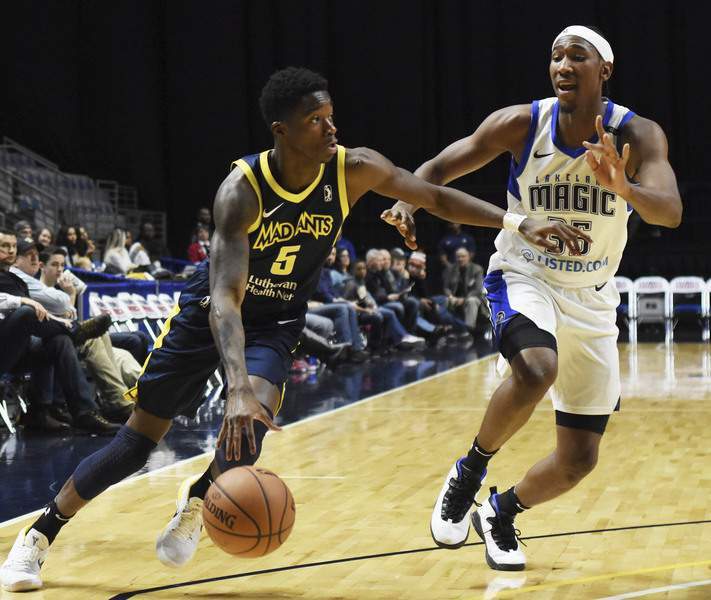 Last season, Lakeland won 2 of 3, including a 109-108 overtime game that saw the Magic recover from a 34-point deficit for the biggest comeback victory in G League history. “Sometimes you just drop some games. We’ve just got to refocus and come and play the next one like we’d been playing,” Johnson said.